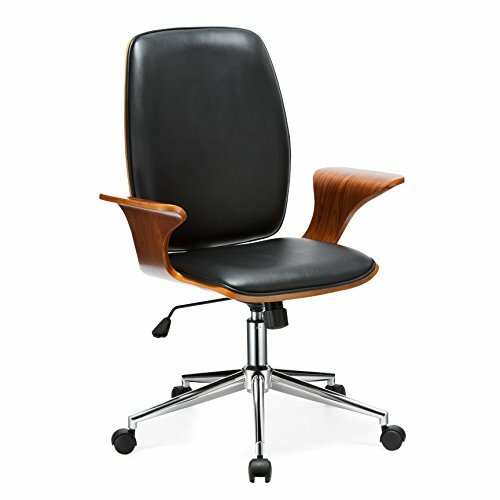 Rejuvenate your workspace with the sleek lennon office chair from Porthos Home. Featuring elegant, curved wooden armrests, a polyurethane leather seat, a chrome base and caster wheels, this chair is as stylish as it is durable. Keep one on your home office or workstation to inspire creativity and confidence. If you have any questions about this product by Porthos Home, contact us by completing and submitting the form below. If you are looking for a specif part number, please include it with your message.